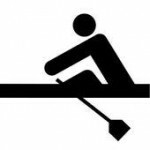 Rowing Ireland is pleased to announce details of Junior selections for 2014. Rowing Ireland is pleased to announce details of a scheme for Clubs interested in the purchase of Wintech Odyssey Touring Quads. Sunday at the Europeans has produced a magnificent Bronze medal for Sanita Puspure in the W1x, the blanket finish resulted in a photo finish and Sanita was pushed into 3rd position by 0.02 second. 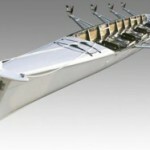 OCBC are bringing a trailer to the European Masters Regatta in Munich from 27 – 29 July. Trailer will leave Dublin early on Tuesday 22 July and leave Munich early on Sunday 29 July, arriving back late Monday 30 July. Limited space available. How can i tell my full potential on the erg? Anyone know which vendor sells this sweatshirt? Lost mine and can’t remember where I had gotten it! What’s a good 2k time on water? The /r/rowing ergspunk crowd when the RP3 poster boy wins M1x trials….